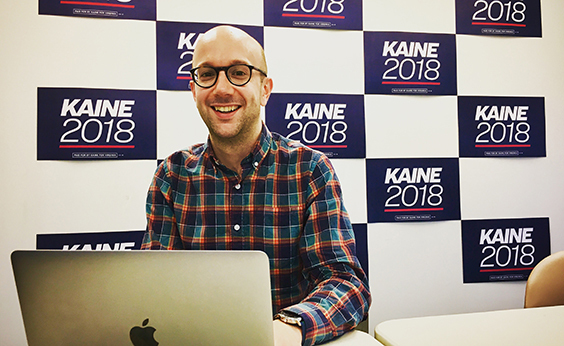 Ian Sams works as Senator Tim Kaine’s communications director for his 2018 re-election campaign. Behind every Hillary Clinton, Donald Trump, and Tim Kaine is a less well-known Brian Fallon, Hope Hicks, and Ian Sams. The former have a reputation to maintain and a political platform to promote, and the latter spend every waking moment making it happen. As the current communications director for Senator Tim Kaine, Ian Sams, a 2011 alumnus, says his is an all-in industry. As Sams would tell you, he got his start in political communications at UA when, as a sophomore, he ran Kendra Key’s SGA presidential campaign. The campaign Sams ran for Key ended in a 700-vote loss, but it had one of the largest voter turn outs in the school’s history—bringing in roughly 14,000 student ballots. 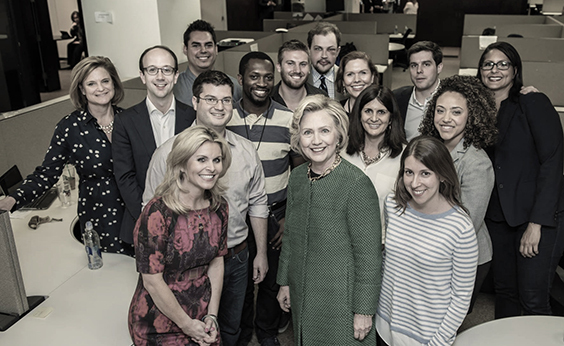 Sams worked for Hillary Clinton during her 2016 campaign for United States president. Since graduation, the stakes have multiplied, and his career has been a whirlwind to match the intensity of his everyday job. At only 29 years old, he has worked for the Democratic National Committee, Delaware Senator Tom Carper, Congressman Tom Perriello’s campaign for governor, Virginia Senator Tim Kaine as well as Secretary Hillary Clinton. “One of the things that I’m proudest of in my still pretty young career is being one of the lead communications staffers working to roll out Hillary Clinton’s domestic policy agenda in the primary race in 2015,” Sams said.  “I would help coordinate policy development, digital roll outs, media placement, press releases, written materials, web pages, etc. on the different domestic policy issues from health care to child care to Wall Street reform to the opioid crisis. Though many Americans have expressed their distrust of politicians on both sides of the party lines, Sams has a lot of hope and faith in the sincerity and earnestness of most national and local leaders.